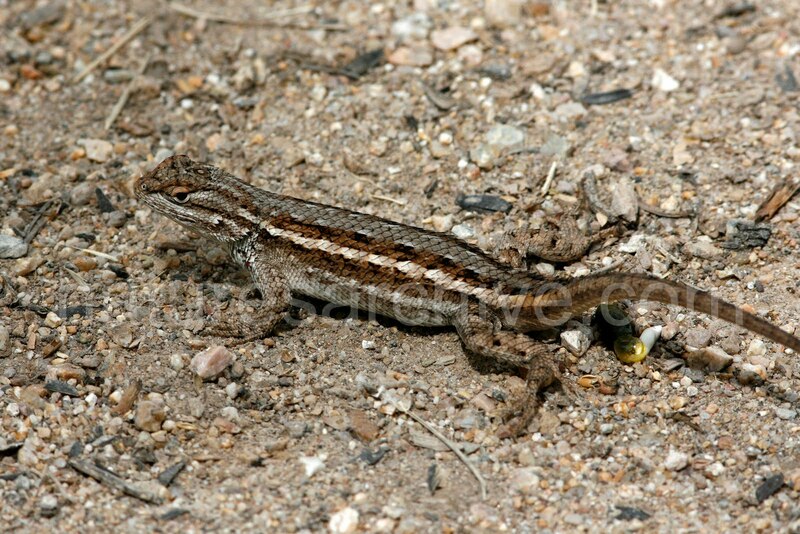 The following lizard is certainly a Sceloporus species, and I believe it to be a Southwestern Fence Lizard, Sceloporus cowlesi. It was spotted near the San Pedro House in the San Pedro National Riparian Conservation Area. These lizards are said to be almost indistinguishable from the Plateau Lizard, Sceloporus tristichus, so I'm relying on the known ranges for this identification, according to A Field Guide To Amphibians and Reptiles in Arizona .